The Lasang Pinoy Sundays theme this time around is SUMMER SALADS! With our summer garden underway and with the scorching temperature and humidity making one reticent to fire up the stove, salads are definitely taking center place more often. This is one of our favorites just because we can readily make it with the pre-cooked and frozen shrimps. Of course for those who are allergic or just are not into seafood like my youngest daughter, you can easily substitute with chicken or beef or just omit the protein altogether. It is the balance of sweet, sour and spice that actually makes this salad. 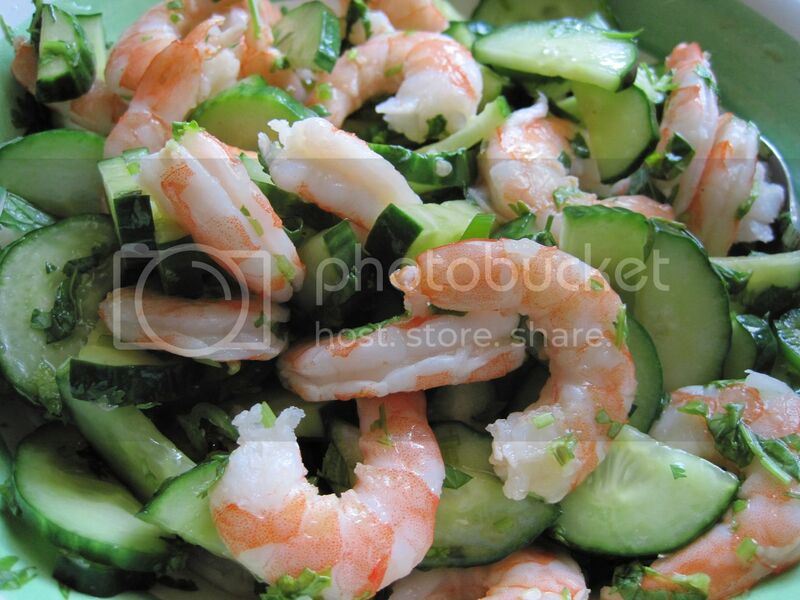 If you’d like to try it, you will find the recipe for this Thai Cucumber and Shrimp Salad here. Lasang Pinoy, Sundays is a bi-weekly thematic FOOD PHOTOGRAPHY meme, Pinoy style!